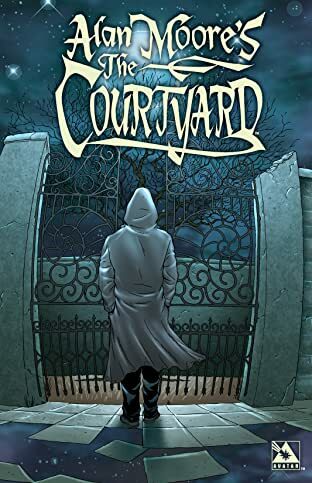 Alan Moore's haunting masterpiece, The Courtyard, is available in color for the first time! 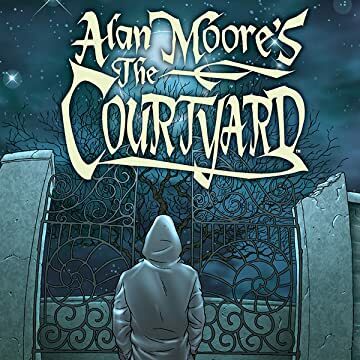 The most celebrated writer in the industry, Alan Moore, teams up with brilliant artist Jacen Burrows, to unleash this timeless tale of Lovecraftian psychological horror. FBI man Aldo Sax has an amazing service record with the FBI. His legendary skills at piecing together the most baffling of cases has gotten him assigned to what may be his most confusing case yet. Several murders - no, more like lethal dismemberments - from the most unlikely of suspects just don't addd up. And what few leads there are, all point to The Courtyard.